The Manchester Airports Group (MAG) owns Manchester Airport, East Midlands and Bournemouth airports, and now Stansted. MAG is owned by the 10 councils of Greater Manchester. Manchester City Council owns 35.5%, and 9 authorities, the Metropolitan Boroughs of Bolton, Bury, Oldham, Rochdale, Stockport, Tameside, Trafford, Wigan, together with Salford City Council, collectively own 29%. Australian investment fund Industry Funds Management owns 35.5%. MAG has made a greatly enlarged dividend to its shareholders, through buying Stansted and the large investment from IFM. MAG has agreed to increase its dividend from £20m in 2012 to £72m, which includes an additional one-off dividend of £30m. From this £48m will be shared between Greater Manchester’s 10 local authorities, with Manchester getting some £26 million of it and the remaining 9 sharing some £22 million, in proportion to their shares. In contrast the dividend has been £20m for the past 4 years. Manchester Airport has been in public ownership since 1938, and public money has been invested in it. The councils benefiting say they do not spend the money on specific projects, but subtract it from the total amount they must save after government cuts. It may be used partly to invest in the local economy, to raise skills and create jobs. The M.E.N. can reveal the dividend paid to the cash-strapped councils as a result of their stakes in the airport’s parent company has more than doubled. Greater Manchester’s 10 town halls were today given a £48m boost thanks to the flying fortunes of Manchester Airport. 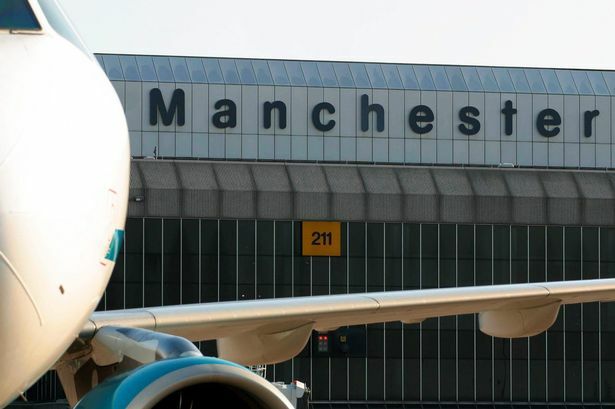 Manchester Airports Group today released its annual report for the 12 months to the end of March, in which it reveals details of the bumper windfall. The huge hike is linked to MAG’s £1.47bn swoop for Stansted Airport, which also saw an Australian investor buy a 35 per cent shareholding in the group for £900m. As a result of those two deals – and MAG renegotiating £1.2bn-worth of debt with its lenders – it has agreed to increase its dividend from £20m in 2012 to a whopping £72m this time around. And the bulk of that – £48m – will be shared between Greater Manchester’s 10 local authorities, with Manchester getting 35 per cent of it and the remaining nine sharing 30 per cent. The remainder goes to Industry Funds Management, the company that invested in MAG to help pay for its Stansted deal. This £72m dividend is made up of an increase to the normal payment, which has risen from £20m in 2012 to £42m, and special one-off bonus of £30m. In 2002, the dividend was just £5m and has been £20m for the past four years. Chief financial officer Neil Thompson said: “Two years ago, we set ourselves some tough targets to grow the business against a tough economic backdrop. “The last year in particular has been a transformational one, in which we have seen strong passenger growth, improved commercial performance and have completed the deals to welcome on board a new investor, buy Stansted and carry out a refinancing. The announcement comes as MAG revealed 24.5m passengers passed through its airports – Manchester, East Midlands, Bournemouth and now Stansted – during the year covered by the annual report. That was up 500,000 on the year before and is set to rise even more over the next year. 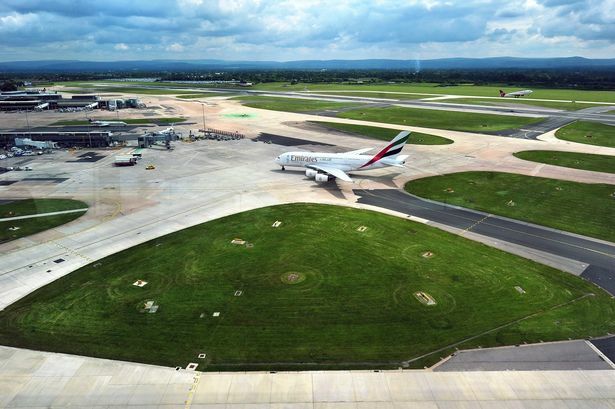 Since January, Manchester Airport itself has handled more than 20m passengers and is hopeful of growing that to close to 25m in the next two or three years.The group also posted a 10.3 per cent increase in its turnover, up from £373.2m in 2012 to £411.5m this year. Its underlying profits grew 9.2 per cent from £131m to £143m. Stripping out the one month contribution Stansted made to MAG’s financial figures, revenues stood at £393.1m and profits were £137.9m. And it was Manchester Airport that made by far the biggest contribution to the group’s soaring fortunes. Its revenues rose 9.1 per cent from £282m to £307.8m, with its profits increasing 6.1 per cent from £126.9 to £134.6m. Across the group, £185.8m was received from airlines that pay for landing slots. That rose from £169.6m in 2012, with airport chiefs having encouraged airlines to launch new routes, such as the easyJet service to Moscow and United Airlines’ Washington DC flight. And Mr Thompson said MAG was working hard to secure a direct flight to China, as well as pursuing opportunities in places like Bangkok, Kuala Lumpur and other parts of the States, such as Miami, Boston, Los Angeles and San Francisco. MAG raked in £56.4m in car parking charges, up from £52m, with 2,900 new spaces added at Manchester alone. Retail revenues grew from £74.6m to £75.1m, with new shops including The Lonely Planet and Zoodle opening in Manchester’s terminals during the year. The annual report also reveals MAG’s executive team – chief executive Charlie Cornish, Mr Thompson and commercial director Ken O’Toole – shared salaries and bonuses worth £1.65m, which was up from £795,000 in 2012. Mr Cornish received £694,000, which includes his basic salary, bonuses, car allowances and other benefits. His 2012 package was £480,000. The taxpayers of Manchester have been in business with the airport since its birth in 1938, when it opened thanks to funding from the city council. It has remained in public ownership ever since. The M56 motorway was built to serve the airport in 1972, a new rail station opened in 1993 and a second runway was completed in 1997. In 2000, the group bought East Midlands and Bournemouth airports for £241m. Manchester Airports Group (MAG) was formed in 2001, following the acquisition of East Midlands Airport, to own and operate Manchester Airport and the other smaller acquisitions. MAG is owned by the 10 councils of Greater Manchester and Australian investment fund Industry Funds Management. Of the 10 councils, Manchester council holds the largest stake, at 35.5 per cent. The remaining nine councils hold a total of 29 per cent. Industry Funds Management own a 35.5 per cent stake in MAG. The group bought London Stansted Airport this year. Manchester’s cash-strapped councils are celebrating the windfall to come courtesy of the city’s flourishing airport. Most councils do not spend the money on specific projects – instead subtracting it from the total amount they must save after government cuts. But Bolton bosses say they will invest it in the local economy, specifically teaching skills and job creation. Lord Peter Smith, chairman of the Greater Manchester Combined Authority, which governs economic development over the 10 authorities, said the money helps to reduce service and council job cuts across the region. He said: “We are pleased that Manchester and our new acquisition Stansted are doing well, so it’s good news for the local authorities and good news for hard-pressed local communities who can have the money to help support much needed local services. “We’ll put our money into the general pot and makes sure we use it wisely to reduce the affect of the cuts over time. He said the profits show that the councils’ decision to invest in the airport – and to acquire Stansted – was a wise one. He added: “It was a good investment all those years ago to build the airport at Ringway and for us to support it over the years. It also shows what a wise investment we made last year in acquiring Stansted. Some people said it wasn’t but now local people are benefiting from the acquisition.” Coun Cliff Morris, leader of Bolton council, said: “We are pleased that we will be receiving this dividend from our stake in the airport. Sir Richard Leese, leader of Manchester council, said: “Although this significantly increased dividend from Manchester Airports Group is a one-off windfall, it is excellent news for the council taxpayers of Manchester, and Greater Manchester, and vindicates the Group’s investment strategy, including the acquisition of Stansted. As well as generating jobs and attracting investment, a strong Manchester Airports Group makes a substantial and ongoing contribution to council income which helps protect our residents against the impact of future spending reductions. The Manchester Airports Group plc (commonly abbreviated to MAG) is a holding company which is owned by the ten metropolitan borough councils of Greater Manchester, in North West England, and Australian investment fund Industry Funds Management. Founded in 2001 following the acquisition of East Midlands Airport, MAG is the largest UK-owned airport operator, following the purchase of BAA by Spain’s Ferrovial Group in 2006. The Group owns four British airports, Bournemouth, East Midlands andManchester Airport which is the busiest airport outside the London region, as well as London Stansted Airport. Of the ten metropolitan boroughs of Greater Manchester, Manchester City Council holds the largest stake, at 35.5%. The remaining nine councils hold a total of 29%. Industry Funds Management own a 35.5% stake in MAG. The Group has its registered office at Manchester Town Hall. MAG operates on a commercial basis at arms length from its public owners who only take a dividend from profits. This was £20 million in 2010 while MAG retained £80 million from the £100 million profit. The Group are focused on delivering the £659 million Manchester Airport City. Planning permission for the Airport City development was confirmed on 17 January 2013 and construction work is due to begin in February 2013. On 18 January 2013, it was announced that MAG would purchase Stansted Airport from Heathrow Airport Holdings for £1.5bn. Industry Funds Management purchased a 35.5% stake in MAG to help fund the takeover. The sale was completed on 28 February 2013. Manchester Airports Group is majority owned by the ten local authorities of Greater Manchester, with Manchester City Council owning 35.5%. The remaining nine authorities, the Metropolitan Boroughs of Bolton, Bury, Oldham, Rochdale, Stockport, Tameside, Trafford, Wigan, together with Salford City Council, collectively own 29%. In 2012, it was decided that rules on shareholding would be changed to allow external, private investors to purchase stakes in order to provide extra capital for future investment and takeovers of airports. Manchester City Council would retain a controlling stake over the organisation. To raise funds for the purchase of Stansted Airport, Industry Funds Management purchased a 35.5% share in the group. Shouts of ‘Shame on you’ in the council chamber as budget passed. Angry protestors say the city is being decimated. Manchester City Council. Posted: Wednesday, July 31st, 2013. Filed in General News, News about Airports, Recent News.